Wars and Battles - is a platform of turn-based wargames that simulate historical battles and campaigns over several centuries and continents. Wars and Battles offers you rich and immersive graphics, intuitive yet sophisticated gameplay and hours and hours of game. Integrating the sophistication of traditional wargames into tablets is our commitment to players fond of strategy, history or the military. By buying the Wars and Battles app you will be able to play the campaign in each of the 4 battles in the package. This represents more than 50 original scenarios, of which there are more than 30 for Normandy 1944 and October War 1973 alone. Advanced scenarios and full battles (including “what-if” scenarios) are available through in-app purchases, so the fun never ends! The next battles we will release are: Kharkov 1943 and The Korean War 1950-1951. - 2 battles available, 2 additional battles to be released. Visit www.warsandbattles.com for more information. 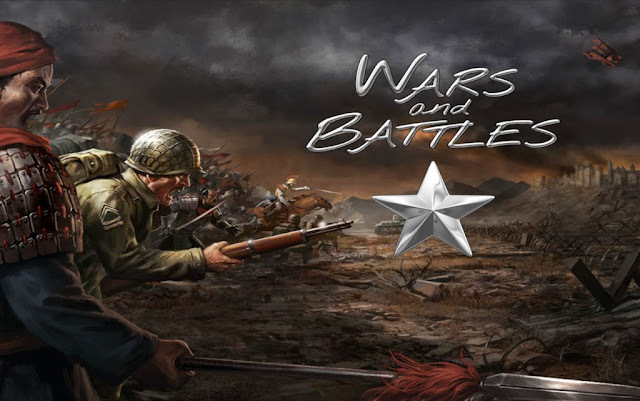 Wars and Battles: download via Google Play!